To our clients: Thank you — we wouldn’t be here without you! Lenz is a customer service organization, first and foremost. Our mission is to serve our clients and help them reach their goals. We like to say “business is personal” because we know that when our clients succeed, we succeed with them. Our clients aren’t looking for someone to just take orders. They want a strategic, creative, and proactive marketing partner who takes their business goals as seriously as they do. This is what we strive to deliver. We care more than the other guys. It may sound corny, but it’s true. We care about the quality of our work, we care about the health of our clients’ businesses, we care about our teammates’ wellbeing, and we care about our community’s prosperity and sustainability. Yes, our team has a unique breadth of experience and expertise, but our passion is what sets us apart. At Lenz, we strive to practice humility, often a missing ingredient in a partner. This means that we listen, learn, and always strive to understand and promote our clients instead of ourselves. It’s just what we do. When it comes to our clients’ goals, we are single-minded. Every client has heard us say the words, “Goal-Strategy-Tactics-Execution” to emphasize the importance of moving important decisions upstream. What are we trying to achieve? What is the best plan of attack? What tools will be most effective? How can we implement with precision? These are the right questions in the proper order: Goals-Strategy-Tactics-Execution. For our clients, one of our greatest strengths is that our advice comes from a wellspring of knowledge earned through growing many different kinds of businesses. Experience can lead to better decision-making and help achieve success more quickly, with a lower investment. See some of our diverse ventures. Lenz aspires to serve a higher purpose than simply running a profitable business. Since opening our doors, we have relentlessly supported cause-oriented businesses and initiatives by every means possible. See some of our recent non-profit work. When Richard Lenz founded the company in 1992, he chose his family name to signify a personal guarantee: He stands behind the work we produce. Everyone at Lenz does. It’s a business philosophy that permeates through the company to this day. Our commitment to our clients is to show up every day, do our very best, and never make excuses. The buck stops here. Time and money are two resources that no one has enough of. We doggedly pursue the best deals with the best partners to make sure every dollar is maximized. Watch the nickels and the dollars will take care of themselves. Great relationships are built on trust, and trust requires transparency. Our clients deserve to know who is working on their account, how their money is being spent, and how their marketing campaign is performing. Our clients have our personal mobile phone numbers and we encourage them to use them. They are invited to stop by our office (a little notice is preferred, of course) and our principals are available nearly 24-7 to address urgent needs. In a world where business innovation is moving at light speed, it’s our job to keep up. Lenz has always invested in our team’s development. Whether through specialized external training, attending industry conferences, or supporting higher education, we keep moving. We rely on our external partners — from our friends in the media to our printers and beyond — to help us deliver value to our clients. As such, we believe our partners deserve our respect and will perform at the highest level for our clients when we empower them to do so. We are passionate about what we do and will only work with you if we can also be passionate about helping you meet your goals. Our team is trained to treat your interests, resources, and reputation as if they are our own. You deserve our respect, and you will get it. We will give you our best advice, even when you may disagree, and tell you immediately if something goes wrong. We will protect your trade secrets, tell you exactly how we conduct our business, be there when you need us, and stand by our work. Marketing initiatives should be tracked, measured, analyzed, and refined. The more you know and understand about your marketing campaign and its performance, the better for all of us. If you’ve made it this far, you’re thinking about working with us — great news! Lenz works with our Clients in one of two ways, either through a Marketing Partnership program or on a Project basis. Anna Laura joined Lenz with a background in social media management and content creation. She is passionate about all things marketing and staying up to date with the latest industry news. She eats, sleeps, and breathes social media, and loves learning about new features. Anna Laura graduated from Kennesaw State University with a B.S. in Communication and a minor in Marketing. She enjoys learning something new every day, and continues her education with webinars and researching new trends. Anna Laura is thrilled to be a part the Lenz team and looks forward to crafting content for a variety of amazing clients. Deborah joins Lenz from the educational publishing industry, where she played an important role in enhancing digital marketing efforts for the higher education and K-12 lines of business. Prior to her professional career, she earned a BA in Political Science from the Ohio State University and a MA in Integrated Marketing Communication from Emerson College. Deborah is overjoyed to be at Lenz and looks forward to helping her clients meet and exceed their objectives. For fun, she enjoys seeing live music, especially indie-rock, traveling, and spending quality, family time with her husband and identical-twin sons. Nicole is a critical thinker who joins Lenz with a strong background in communications and an even stronger passion for spreading knowledge that uplifts and inspires her community. 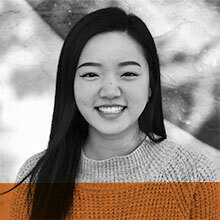 She has a desire to make a positive impact in the lives of others and is always in search of new ideas and perspectives, which may benefit her peers. Nicole has held several marketing-related positions in various industries. She believes that marketing is the backbone of every business and considers the field of marketing to be an arena where creativity and tactics beautifully merge. 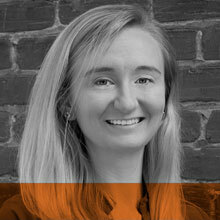 Her love of people and hunger for knowledge aids her in fulfilling a multitude of client-based projects at Lenz. Nicole earned a Bachelor of Arts degree in Communications and Media Studies from Clayton State University. A city girl at heart, she was born in New York City, raised a few miles south of Atlanta, and is enamored with all things culture and art related. 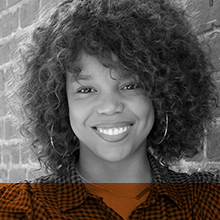 Nicole is an abstract painter, a film enthusiast, and a hard-core foodie. 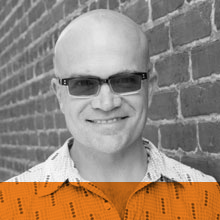 Tom Bell is a content marketing strategist and editorial consultant who helps LENZ’s clients tell their stories in all forms of media. A veteran journalist and co-founder of the AJC Decatur Book Festival, he has a knack for helping clients discover and craft their most compelling narratives. Tom is a founder and partner at Chronicle, a strategic brand narrative, thought leadership, and editorial content firm. He specializes in writing that enhances his clients’ reputations as thought leaders in their fields: speeches, white papers, e-books, case studies, and ghostwritten contributed articles. 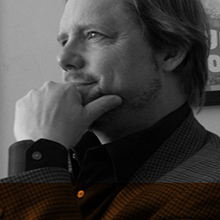 Scott provides compelling and strategic art direction for Lenz’s clients. With over 17 years of marketing, advertising, and fundraising experience, he has led the creation of digital and print campaigns for clients such as AT&T, National Parkinson Foundation, SmileTrain, The Salvation Army, Muscular Dystrophy Association, DeKalb Medical, Georgia Cancer Specialists, Krystal Restaurants, and Humane Societies across the nation. 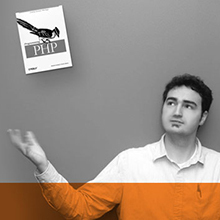 Scott is a graduate of the Lamar Dodd School of Art at the University of Georgia, and General Assembly’s front end web development program. Scott lives in the Decatur area with his wife, Brittany. He enjoys spending time with his family, throwing baseballs at his two sons, and playing a bad guitar. Ricky Pattillo is a problem solver. Thanks to a high school teacher, he was introduced to programming as a freshman and has been applying it as a solution to problems ever since. After learning as much as possible from that teacher, Ricky went on to earn his B.S. in Computer Science from Georgia Institute of Technology where he specialized in databases, operating system design, compilers, and security. At Lenz, Ricky utilizes over 17 years of programming experience combined with his specialization in databases to build and maintain robust applications tailored to meet each client’s needs. Carey graduated from Berry College with a dual degree in English and Creative Writing. Not long after, she joined the Lenz crew with a strong background in editorial work and social media managing. With previous roles such as editor-in-chief for her campus literary magazine and lead organizer of a popular online writing conference, Carey has the experience to back up her passions. She finds content creating exhilarating in all its shapes and forms. She loves the idea of spending her days breathing ideas to life, and she is excited to learn more about all aspects of content creating with Lenz. In her free time, Carey loves to write novels. As a literary fanatic, she is always reading, writing, and getting lost in fictional worlds. She also loves dogs and asks that if you have a dog to please bring it by so she can pet it. Jon has a journalism degree from Georgia State University and completed New York University’s Summer Institute in Book & Magazine Publishing. Jon and his wife Andrea live in Decatur and have three children, Max, Levi and Violet. 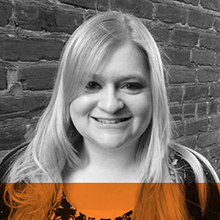 Rachel came to Lenz with a background in nonprofit development and political marketing. At Lenz, Rachel now oversees the company’s media buying, social media, and public relations efforts as the director of the Media Department. She loves working with the talented and innovative Lenz team and especially respects the organization‘s commitment to both for-profit and philanthropic efforts. Rachel attributes her well-rounded skill set to her liberal arts college education from Agnes Scott College and her intrinsic curiosity. In her free time, Rachel enjoys exploring the many outdoor wonders in and around Atlanta, talking politics, and spending time with her partner, James, and their two cats, Marie and Rivers. She‘s been known to take every opportunity given to discuss her time living in South Africa. 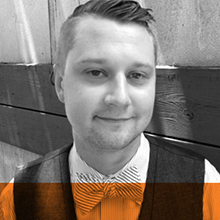 Ben is a creative problem solver who loves to be challenged by his work, and creating the visual solutions that result. He has been in the design industry for over 10 years and has developed successful campaigns for Coca-Cola, Allstate, P&G and many others. 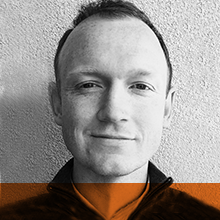 Prior to joining Lenz, Ben worked in several roles in the agency environment spanning from print design to web and interactive design and development. He has had personal work displayed in museums, and published worldwide. 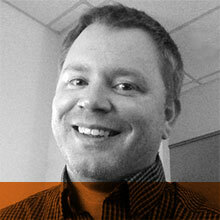 Ben earned his BFA in graphic design from the Savannah College of Art and Design in 2001, and joined Lenz in 2013. In his free time he enjoys hanging out with his wife Lauren and son Kingsley, brewing beer, and tinkering around in the garage. Michelle loves being creative, organized, and positive and is able to apply those characteristics into her work as an account coordinator. 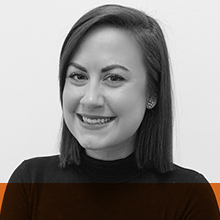 Having graduated from the University of Georgia with a Bachelor of Arts in Journalism, Michelle uses her experience of public relations coordinating and social media planning to complete a wide range of tasks as a team member at Lenz. She is passionate about helping those around her, and is always eager to help manage and complete projects. Michelle is excited to grow as an employee and as a person and believes that there is something to be learned every single day. Michelle is an Atlanta native, having grown up in Cobb County. She enjoys reading and hiking when she has free time and always carries around a notebook to write or doodle in. Meagan’s project management background and strong organizational skills help her focus on multiple tasks while paying close attention to detail. With a degree in marketing from the University of Alabama, Meagan has worked the past ten years in a wide variety of functions in the marketing field. Her background includes campaign calendar strategy and development, tradeshow signage coordination, ad media procurement and event management. Meagan is an Atlanta native, growing up in the Decatur area. She enjoys ballet, traveling, and Alabama football. Christine joins Lenz from the fast-paced and energetic world of the New York film and television industry. For the last decade, she has worked as a field producer and post-production supervisor. Her experience in both New York and Los Angeles has given her a diverse client list. These include broadcast networks such as A&E, Sundance, and Showtime, and web-based corporate clients such as Jay-Z, Wall Street Journal, and Vanity Fair. By working in both the creative and operational sides of production, she’s uniquely prepared to help guide clients through their marketing journey. Christine graduated from Villanova University with a degree in English and Communications. Born and raised in the Northeast, she is excited to live in and explore Decatur with her husband, Eric. Mike directs client marketing at Lenz. He also serves as program director for Lenz’s radio shows, “The Weekly Check-Up with Dr. Bruce Feinberg,” which airs Sunday afternoons on News/Talk WSB, and “The Sports Insider with Dan Kamal,” which airs Saturday mornings on 92.9 FM The Game. Mike teaches healthcare marketing at Emory University’s Rollins School of Public Health, and is the founder of Amplify My Community, a non-profit organization that travels from city to city, throwing fundraising concerts to benefit local organizations fighting poverty. He is a singer, songwriter, and musician who performs regularly and has released several albums. Mike received a journalism degree from The University of Georgia and an MBA from Georgia College. He joined Lenz in 2002 and became a partner in 2014. Mike and his wife Jessica live in Decatur and have three children, Liam, Emily, and Henry. John joined his brother Richard at Lenz in 1993 and is a managing partner. 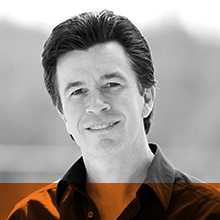 John uses his 25 years of experience to create, innovate, problem-solve, and help clients be more profitable. John is also President of Georgia Smoke BBQ. Before joining Lenz, John attended Oglethorpe University, where he was a starting pitcher on the baseball team. John is a graduate of the Leadership DeKalb Class of 2010, is a volunteer softball and baseball coach, volunteers locally in the DeKalb County School System, is married with two children, and lives in Atlanta. Richard J. Lenz is founder, president, and CEO of Lenz, Inc., an integrated marketing agency that uses advertising, public relations, graphic design, and web-based technology to help clients achieve their goals. His most recent accomplishments include launching one of the most celebrated festivals in the country; producing a popular health care radio show; rebranding a major hospital system; designing and installing a 2,000-square foot museum exhibit; steering a $20 million fund raising campaign; and developing a website that helped improve cancer care across the country. He serves on multiple boards and has won industry awards for his graphic design, ad campaigns, writing, and photography, and is author of several popular non-fiction books. He lives in Decatur and is married to Dr. Wendy Lenz and has four children, Eric, Kristen, Claire, and Laura. Lizzi graduated from Florida State University with a bachelors degree in studio art and with a focus in graphic design. Before FSU, she received her associates degree in studio art at Chipola College. 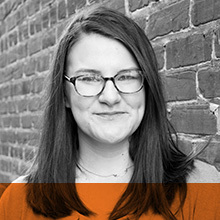 With a background in design, coding, and studio art, Lizzi has found that web development and graphic design are her strengths as well as her passion. She has experience doing projects for small and large business owners. In her spare time, Lizzi likes to be active in her church, engage in community events, and travel to the beach.